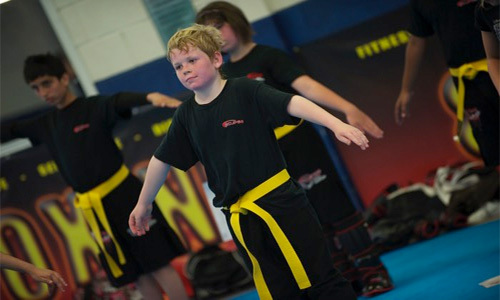 Our popular kids kickboxing classes follow a detailed curriculum that provides children with a wide range of benefits from self defense skills and physical fitness through to improved focus, discipline and confidence. Our Little Ninjas program focuses on improving pre-school age children’s basic motor and listening skills. These skills will help them enter society with a more confident and enthusiastic outlook. They will become better students at school, better listeners at home and more ambitious towards the future.